BRIGHT FUTURE: Goreng Goreng artist Rachael Sarra with her artwork Ignite the Wonder. AN INDIGENOUS artwork at Kmart Bundaberg will be unveiled at a special celebration tomorrow. 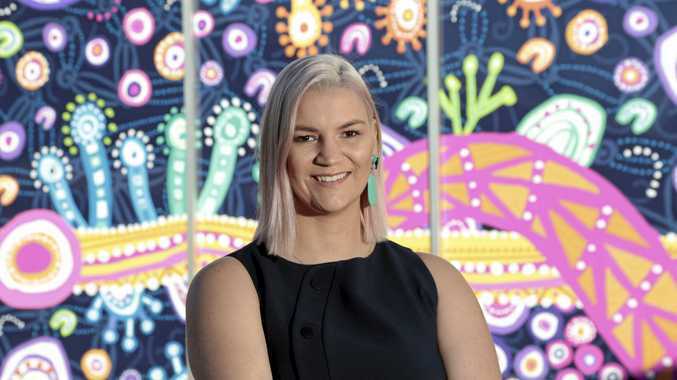 Bundaberg will be the 13th of the company's 231 stores to feature Ignite the Wonder by Gooreng Gooreng artist Rachael Sarra. Sarra said the artwork was a "connection to my culture”. "This connection lives in me, in my mind and in my spirit,” she said. Sarra, who was born in and lives in Ipswich, is the niece of Bundaberg-born Queenslander of the Year Chris Sarra and magistrate Zac Sarra. Kmart head of community Kate Trench-Thiedeman said Ignite the Wonder was part of the chain's commitment to respecting and creating opportunities for indigenous people, and to make its stores more accessible to everyone. "It's important to us, that our team reflects the communities in which we operate; and that our customers, visitors and suppliers feel welcome into our stores,” she said. 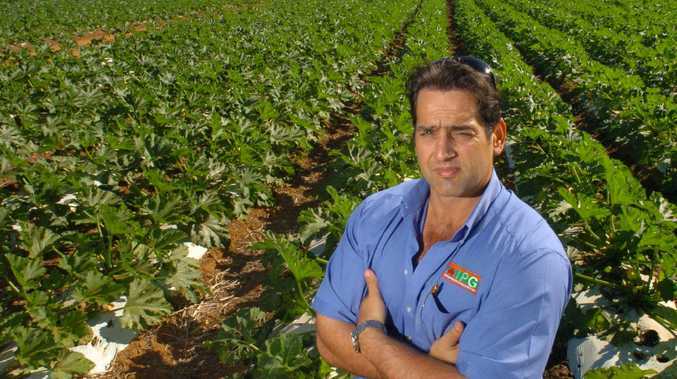 By the end of next year, three per cent of Kmart's workforce will be indigenous. Today's celebrations will also give shoppers a chance to check out the Hinkler Central store's refit, including a new controversial store layout. Staff will be giving away free gift bags for the first 250 customers who make a purchase and the first 250 people through the doors after 8am get a free cupcake. There will also be free facing painting and balloon twisting throughout the day.